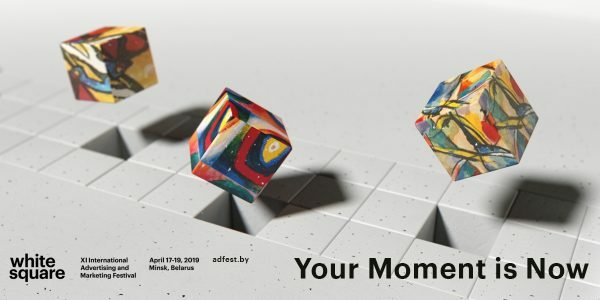 Minsk is waiting the representatives of the international creative community to come over on April 17-19, to attend the 11th edition of the advertising festival White Square. The festival will gather an international lineup of participants from over 30 countries. The festival launched the call for entries on competition’s official website, Adfest.by, and work can be submitted by March 29th. The competition is divided in 7 sections (Creativity, Branding, Marketing, Digital, Creative Effectiveness, Media, Social advertising), each to have 21 nominations. Evaluation of entries will be assigned to 6 teams of international jury consisting of the leading creatives of top network and independent agencies from 20+ countries, with over the half of them having wide experience of judging at major global awards shows, including Cannes Lions during recent couple of years, and holding the most prestigious industrial trophies in the shape of Lions, Pencils etc. Grand Prix – the best entry of the festival within all the contests except for Social ads (in this contest a special Grand Prix can be awarded, out of competition with commercial projects) – will be chosen by Grand Jury consisting of Presidents of all basic jury categories. Next to the contests White Square 2019 will provide a 3 days business and educational program that includes over 70 master-classes, workshops, lectures from world-famous professionals. The program will be completed by several parties, the Awards gala and city tours around Minsk for foreign guests.